This entry was posted in Friday Inspiration, Video and tagged aerial, Anthropologie, Artisan, Artist, Beach, Chef, Drawing, Duxbury, Farmer, Food, Friday Inspiration, Island Creek Oysters, Jim Denevan, Land Art, Large Scale, Local, Massachusetts, Ocean, Outsanding in the Field, sand, Siberia, Slow Food, Surf, Surfer, Table, Video by nixonphoto. Bookmark the permalink. I find your posts such a wonderful read and inspiration! You bait me in with a post and I follow link after link… hours of fun 🙂 Thank you! Thank you. I’m glad you like the links. I do the same and share the trail that I followed! I loved this video! 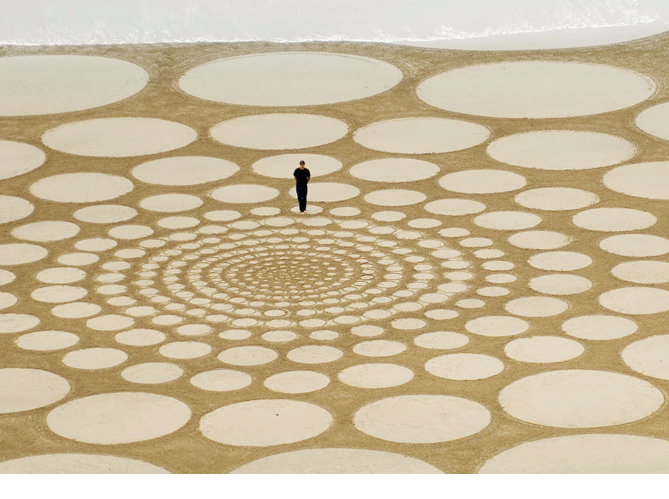 I have never seen land art other than studying the work of Smithson and his contemporaries in school years ago. This was awesome! Glad you enjoyed it. His work is astonishing!